Apple iPod Classic 6th Generation 80 GB - Black with box, sync cable. Has had a screen protector since new. Hard drive specs shown, zero errors so loads of life yet! 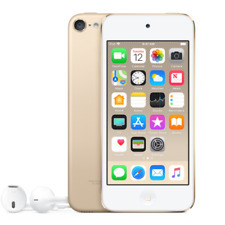 Apple iPod touch 1st gen 8GB. Good condition overall. Screen has a few scratches from use. Works as expected. Grade A - Excellent Condition. Almost Unused item. Very light signs of wear. Fully operational and functions as intended. Apple MA446LL/A A1136 iPod 5th Generation 30GB Digital Player - Black. Condition is Used. Dispatched with eBay delivery – Shutl 2-3 days. Comes with case and usb charging lead. 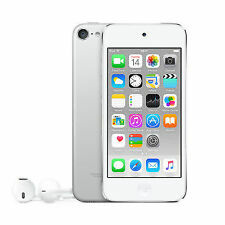 Apple iPod Touch 4th Generation 32 GB - White. Condition is Used. Dispatched with Royal Mail 1st Class. 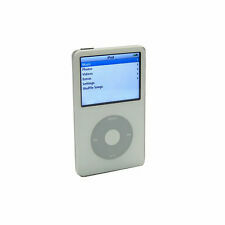 Apple A1136 iPod 5th Generation 30GB Digital Player - Black with stainless steel back. Condition is used and has signs of wear, light scratches etc. As photographed, literally what you see is what you get. Is fully operational as far as I’m aware. Great old school gadget. No earphones included due to hygiene and no charger included. It connects to iTunes, which says that it has up to date software - iOS 5.1.1. I'll also include the charging cable in this sale. IPod Nano 5th Generation -Green. Fully working. Apple iPod Classic 6th Generation. 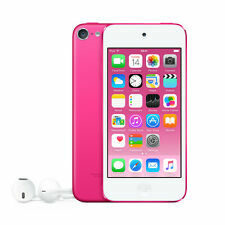 For sale is an an apple ipod 80GB 6th generation MP3 Player. The iPod is used so has general wear and scratches all over so please bear this in mind. Condition is Used. iPod nano 8gb blue in good condition. MPN: A1367. Storage: 8 GB. 4th Generation. Model: iPod Touch. Colour: White. Visible Heavy scratch on bottom screen and bezel. Heavy wear and tear on unit. Great service. Condition is Used. U s e d v e r y g o o d condition, h a s Matt screen protector a n d c o m e s w i t h h a r d c a s e i n p i c t u r e s. There i s a s m a l l d e n t i n r e a r c a s e a n d h a s o m e p o c k e t scratches. Apple MA446LL/A A1136 iPod 5th Generation 30GB Digital Player - Black. Condition is Used. Dispatched with Royal Mail 1st Class. This iPod has been used in a protective case since new which explains the good condition. Battery life is still acceptable but obviously not as good as when new. Condition is used, however there are no visible signs of wear and hardly any scratches whatsoever. Sky Blue colour. Item contents when it arrives > iPod Touch, Sky Blue. 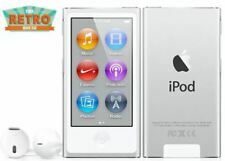 Apple iPod Nano 6th Generation 8GB. Condition is Used. Dispatched with Other Courier (3 to 5 days). 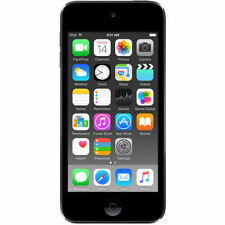 Apple Touch 2nd or 3rd Generation 32GB. Item has many marks and scratches throughout. The back has many scratches and there are nicks and dents to the surround. The screen has scratches including one deeper/noticeable one and other wear - it is overall in fair condition rather than good. Cash Converters. Ref: JI/046100083043 /LH.HH. Have tested this ipod is in working order. has scratches to the front & back. Apple iPod Classic 6th Generation 80 GB - Black. Condition is Used. Scratches to back Restored to factory settings Dispatched with Royal Mail 1st Class. 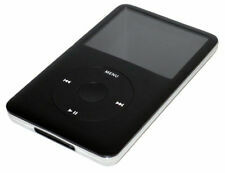 Apple iPod Classic 6th Generation 80 GB - Black. Condition is Used. iPod is scratched as can be seen on photos but is working perfectly, and charging to full capacity. Dispatched with Royal Mail 1st Class. Apple iPod Touch 5th Generation Blue (16 GB). Apple iPod Classic 6th Generation 80 GB REBUILT WITH 6 MONTH GUARANTEE! !